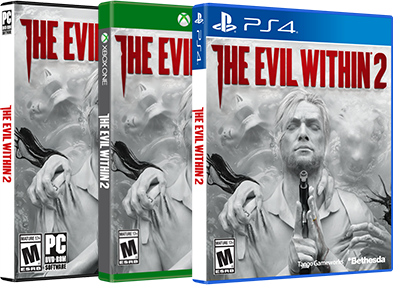 The Evil Within 2 is now available, and whether you’re hopping into it right away or are saving it for a Halloween fright festival, you should probably be aware of one thing: This game can be challenging. 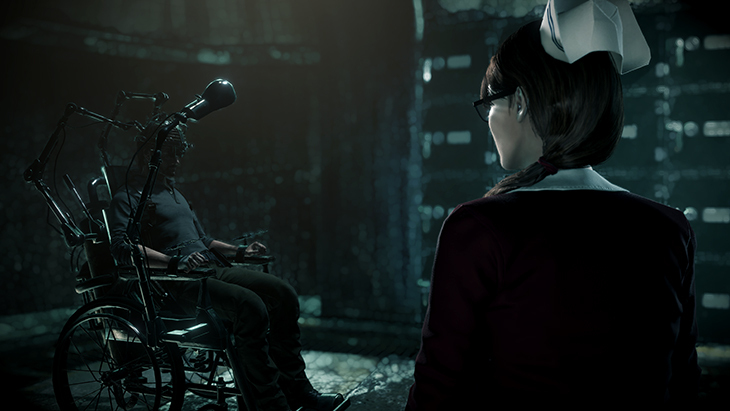 It’ll put even experienced survival horror fans through their paces. Resources are scarce and combat can be punishing, so you’ll have to be clever and careful. Luckily, we’ve put together a list of handy tips and tricks to help you survive the nightmare. Go hunting. (For resources.) With more open areas to explore, you’ll have plenty of opportunities to check out the world around you. We recommend following your Communicator in order to pick up helpful resources, like ammo, medical syringes and crafting supplies. Go hunting. (For collectibles.) While you don’t have to poke through every dark corner of Union in order to complete the game, we also recommend you use your Communicator to chase down collectibles, many of which will help fill in the blanks for both you and Sebastian. If you want to solve the mystery of Union and Sebastian’s past, look for files and slides scattered around the town. The files could be photos or torn newspaper clippings or actual snippets from case files, and the slides will unlock conversations between Sebastian and Kidman that will help shed some light on Sebastian’s life and his relationships with the people he has known. Track down all the slides and you’ll unlock a bonus slide and conversation. Also scattered around the world are the locker keys hidden inside statues (which you might remember from the first game). Destroy the statues and take the keys to Tatiana for some bonus resources. Become a master of your environment. Before you get too deep into an encounter, try to take some time to scout your environment. While you’re looking around, you may even find a clever way to bypass a fight altogether. Sometimes you’ll be in a fight you absolutely can’t get out of, but you can still get a good idea of the space you’re in while you’re sprinting for your life. Know what a trap looks like. Be on the lookout for environmental traps that you can use against your foes. Lead an enemy through an oil slick and then shoot it for a fiery effect, or stun a creature standing in pooled water using your Shock Bolt. You should also keep an eye out for the occasional explosive barrel. Though not very common, they can do a hefty amount of damage to anything caught in the blast radius. These barrels can also be tipped over to spill oil across the ground, creating the oil slick opportunity we mentioned earlier. If you can’t see any traps, set your own. The Explosive Bolt can be set like a mine or tripwire if you place it between two surfaces that are close enough. Lead your enemies over the mine or through the tripwire to blow them the hell up. Careful that you don’t get caught in your own traps, though. The Explosive Bolt doesn’t distinguish between friend and foe. Know when to take a breather. It’s OK to lean on your weapon wheel when you need to take a break. This might sound like a weird bit of advice, but sometimes in a fight you’ll need a minute to gather your thoughts and rethink your strategy. When you have the weapon wheel open, it pauses time in the game. Scroll through your wheel, examining everything you have at your disposal, and fall back on our first tip while you explore your options. Be prepared to scrap all your well-thought-out strategies and just f—king run. There’s nothing wrong with knowing when to cut your losses and ditch a fight. You may miss out on some resources you were scouting, but you can come back later when you’re better prepared. Set your crossbow to stun. When fleeing isn’t an option, you can hit your opponent with either a Shock Bolt or a Smoke Bolt and use the time they spend recovering to hide out somewhere. From there, you can sneak around and try to dig up some additional ammo or resources to craft on the fly. And on that note, don’t be afraid to craft what you need, when you need it. While it shouldn’t be your immediate go-to (it is a bit more resource-costly than crafting at a workbench), crafting on the fly could save your hide if you find yourself firing your very last bullet or using up your last medical syringe. If there are no other resources in sight, you can fall back on some good ol’ fashioned field crafting so you don’t get caught with your clip empty. You don’t have to go in guns blazing. Sometimes you won’t even need to fire a single bullet. Earlier we mentioned finding clever ways to avoid combat. This can be especially important if you are running low on resources. But if you do want to take down some enemies in your way, you could always try the stealth approach. Use cover and breakable bottles to separate enemies and take them out one at a time with Sebastian’s Sneak Kill action. Heads up, not all enemies can be taken down with Sneak Kill, so be prepared for a fight just in case. Horde your Green Gel. You’ll need to get your hands dirty if you want to upgrade Sebastian. Fallen enemies drop Green Gel – an essential for customizing Sebastian’s skills – so even if you aren’t going through the game slaughtering everything in your path, you’ll want to eliminate enemies when you have the chance, and always make sure to search the corpses when you’re done. Break. Those. Boxes. We really can’t stress this one enough. Break every box you see. 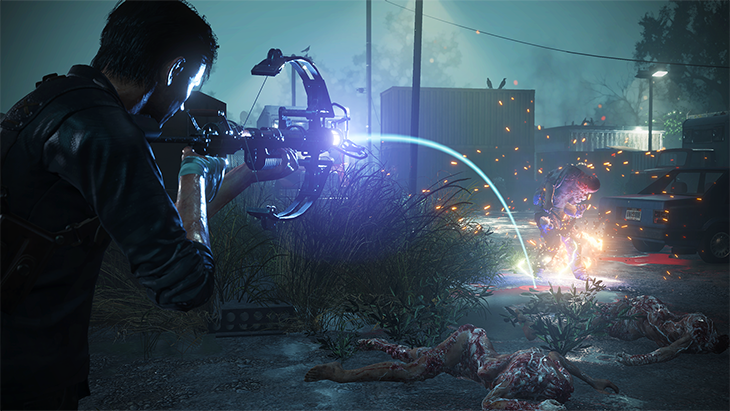 Depending on your chosen difficulty level, many of the breakable boxes around Union contain resources like gunpowder, weapon parts and ammo. Have no shame. While we’re on the topic of resource hunting, search all the garbage cans around you. It might make you feel like a filthy little raccoon, but the resources you dig up might just save your life. If you’re lucky, a careless Union citizen may have thrown away a perfectly good axe for you to use as a melee weapon. Missing something? Take a step back. For a good chunk of the game, you’ll be free to explore more open areas. If you feel like you might be missing something, you can always head back to places you’ve already been and do a little more exploring. Drop that difficulty. If you’re still struggling, drop the difficulty to a lower level. The team at Tango Gameworks has carefully balanced all three base difficulty levels to ensure there’s one that will fit your playstyle. If you just want to be scared and not worry so much about resources and combat, no one will judge you for playing the game on Casual.